As financial professionals we spend the vast majority of our time dealing with people and complex financial situations. Having the ability to connect, on a very personal level, with clients, colleagues, prospects and members of our community is an essential competency for the elite financial professional. Having a high financial IQ is not enough, and is even considered by many industry insiders, to be a "table-stake". To compete and win in today's increasingly competitive environment every financial professional must master the people side of the business as well. And that means having a high level of Emotional Intelligence. 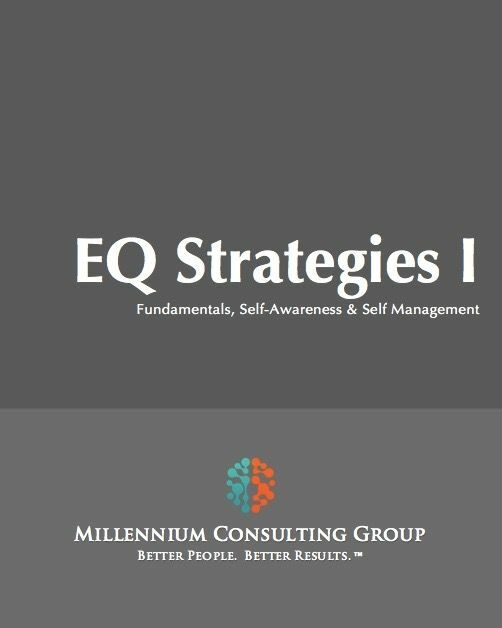 Developing a high level of Emotional Intelligence begins with a high level of self-awareness and a solid set of self-management skills.